Southend-on-Sea’s premier wasp nest removal company, WNR Essex are established as the best same day wasp nest extermination specialists in Southend-on-Sea and the surrounding areas. Our pest control technicians are experienced and responsible in using wasp control solutions for residents and businesses in the Southend-on-Sea area, utilising the best rated apparatus and pesticides in the world of pest management. It is very important to react quickly, as a wasp sting is painful and for some people can even be life threatening. 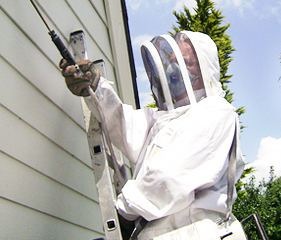 Throughout summer, we conduct our crew of wasp nest technicians in the Southend-on-Sea area daily. This means we are able to arrive at your property within a few hours of contact, however if your schedule is busy on that day, we can time an appointment whenever is convenient for you. Our expert workforce delivers efficient nest termination to Southend-on-Sea and the entire postcode area. We operate daily and a single visit to your property will see complete wasp nest extermination more than 95% of the time. In rare cases when a nest is not successfully terminated, we will return to administer treatment a second time, free of charge. 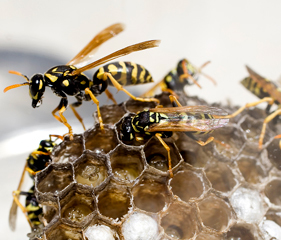 WNR Essex wasp nest removal technicians operate seven days a week in Southend-on-Sea and if needed, we consistently attend properties outside of working hours. After completion of the procedure our personnel will advise you how to avert re-infestation and will be prepared to answer your questions. Our crew of wasp and hornet nest removal technicians in Southend-on-Sea await your call and are ready to resolve your wasp nest problem within the time frame of a few hours.